US Presidential candidate Kamala Harris, the first Indian-origin US Senator, has raised a solid $12 million over the first quarter of her presidential campaign, setting an early high bar for the Democratic field challenging President Donald Trump in 2020. 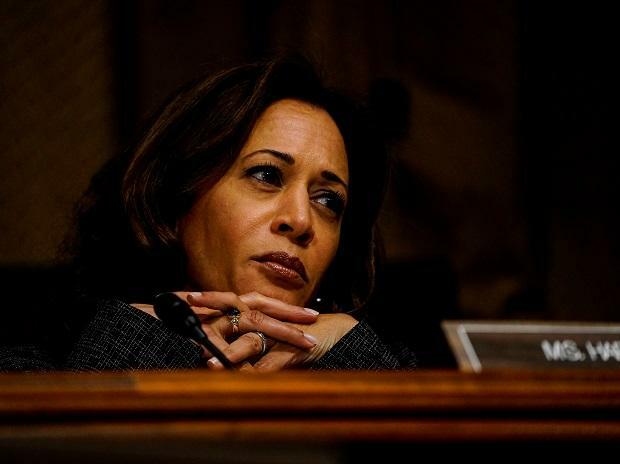 Half of the total haul for Harris, a California senator, was raised online, including more than $1.1 million in the final week of March, when she spent heavily to attract more donors ahead of the financial deadline, CNN reported. Harris, who is of Indian and Jamaican descent, became the second major candidate to announce her first-quarter fundraising total after South Bend, Indiana, Mayor Pete Buttigieg said he raised over $7 million in the first quarter, the report said. "A nationwide network of hundreds of thousands of grassroots supporters has stepped up to lay the foundation for a winning campaign," Harris' campaign manager Juan Rodriguez was quoted as saying by the Hill magazine. "This is a campaign powered by the people, focused on making healthcare a right, putting $500 a month in the pockets of working Americans, and giving every public school teacher in America a raise. We're excited by the support we're already seeing." Harris' campaign stressed that she is seeking donations only for the primary election and that 99.45 per cent of her donors can contribute again because they did not hit the maximum for the primary and general election. The campaign's announcement came after Sunday's Federal Election Commission quarterly fundraising deadline. If elected, Harris would create history by becoming the first woman in the White House. Harris did not disclose how much she has spent during the first three months of the year, nor how much cash she has remained in the bank for the long primary fight, the report said. Her number is certain to be eclipsed by Senator Bernie Sanders of Vermont and former Representative Beto O'Rourke of Texas, who each raised about $6 million in the first 24 hours of their campaigns, but it establishes a benchmark for the other Democrats who are competing for donors in an exceedingly crowded environment.